All the way through school, one of my most favorite classroom activities was discussing literature. I had always been good at reading aloud and then found myself full to the brim of analysis and ideas! I'm sure my classmates got tired of listening to me, but I adored it. In my homeschool daydreams (long before I had kids), I would imagine a family of kids sitting around discussing a book we had just read. It was glorious until I actually had kids and lost part of my brain along the way. At the early stages of learning it is so easy to get pulled down in the mud of learning to read and not falling behind in math. 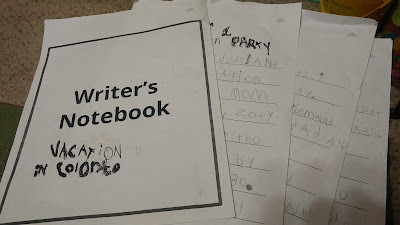 Even though I'm an avid writer, the demands and pressures of life had misplaced my love for literature and writing when it came to educating my kids. I'm so thankful to be reviewing Home School Navigator Reading and Language Arts Curriculum from Home School Navigator because it has reminded me of an early love and orchestrated a fantastic language arts curriculum based on those loves. 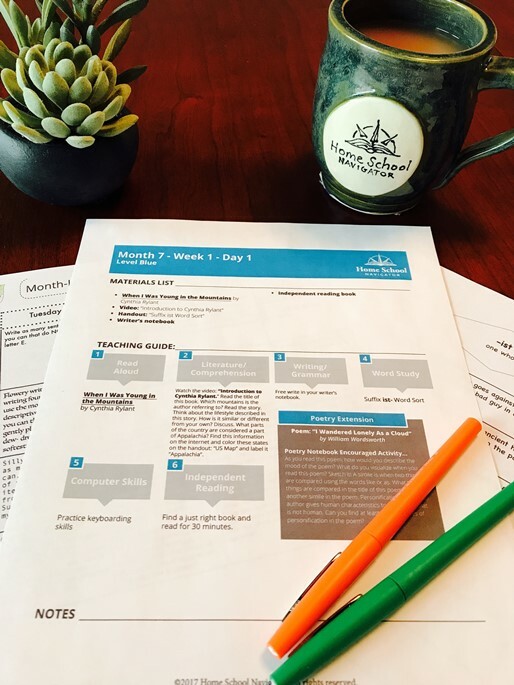 Home School Navigator is a comprehensive language arts curriculum for beginning readers all the way up to established readers working on their paragraph writing skills (about K-5). What sets this program apart is that it is divided into colored levels rather than typical grade levels and provide you access to all of them. They understand the uniqueness of students and how they very well may find their expected grade level too challenging or too simple. With your student's subscription, if at any point the curriculum becomes a stumbling block (too easy or too hard), you are welcome to move to the next appropriate level! This speaks volumes about their innate design intended for homeschooling. Each color/level provides 36 weeks of instruction (with catch up days built in) complete with book lists, extensive planning guides, handouts with answer keys, instructional videos, games, handwriting, vocabulary, word study, poetry, creative writing and so much more. For higher levels (beginning with Green), they also offer some really neat interactive notebooks that are great for the hands-on student. All of the various assignments and activities usually connect to the read-aloud book of choice for that day/week. Most of the books are ones you might already own or certainly can get from a local library. 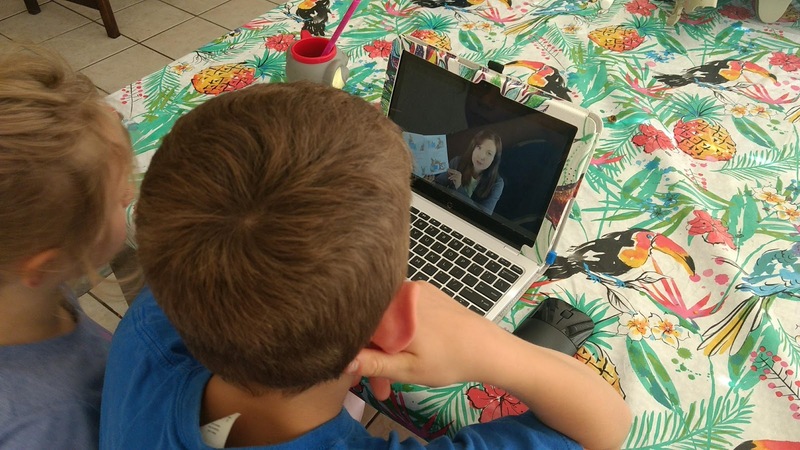 While it is ideal for students to have the books in hand, the curriculum provides a video of each book being read aloud both for reinforcement and in a pinch, your main focal point isn't lost because you don't have a book. In addition to the assortment of videos, handouts and lesson plans, the other online component of this program is the portfolio option. At the end of each lesson or section their is an option to check items as completed and/or upload files to add to the student's portfolio. In many states there is a portfolio requirement so this is a super handy element that they have built right in. Otherwise, it still will keep track of how far you are from completing a level as you check off assignments. 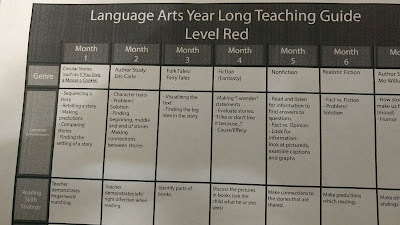 You can manage a total of 4 students so we tried the program out with my 7 year old and 4 year old which translated into Level Yellow and Level Red. The read-aloud videos were everyone's favorite and resulted in a double blessing because they both wanted to listen to each others'! Some of the favorite activities all centered around writing. 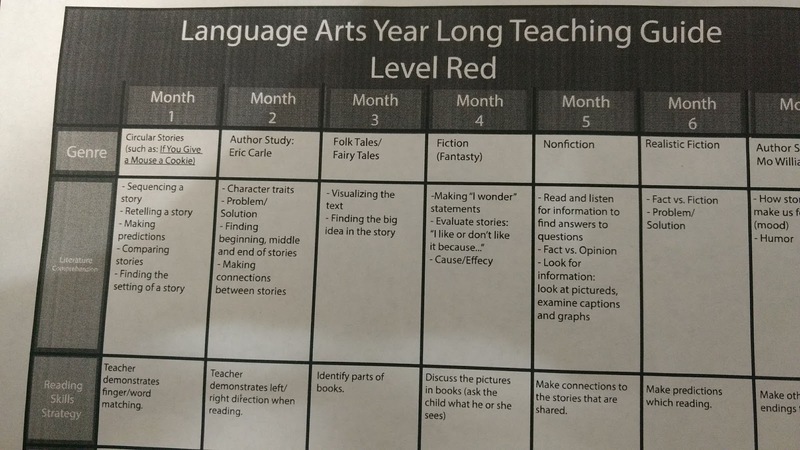 In Level Red they are still learning to read so the writing began in the audible stage where the student and parent create together before it makes it to the page. The 4 year old is enamored with stories already so this was right up her alley. A similar activity expects more independence in Level Yellow. The instructional videos were extremely helpful in part because it was someone else doing the teaching and I was merely reinforcing. 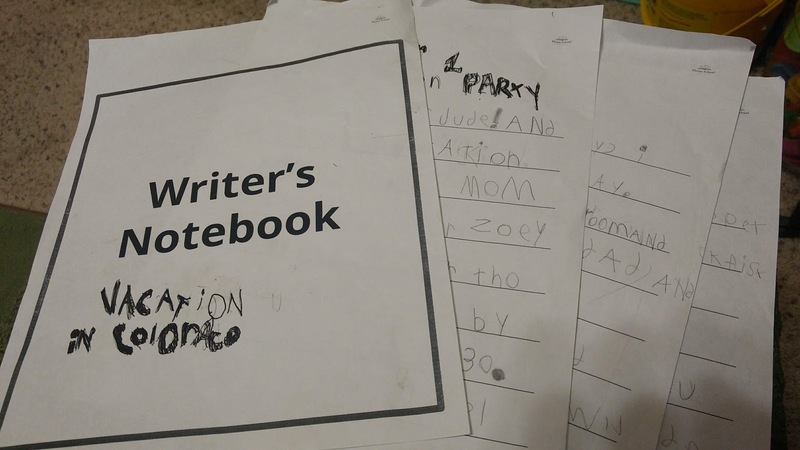 In the beginning when the Writer's Notebook is introduced, my 7 year old took to it really well and before I had even directly assigned it, during his afternoon quiet time he had written the first chapter of his book, Vacation to Colorado! It was as if something sparked a fire in him and he just went with it. As a writer, educator and a mom, I LOVED it. Overall, I highly recommend looking into this program. The interface was a little daunting at first, but made a lot more sense with more use. The best part of the program is its versatility. Wherever your student is in their learning and comprehension, this program encourages them there. If one element is already mastered, it is flexible enough for you to leave it out with no issue at all. It is designed with the typical home school family in mind! 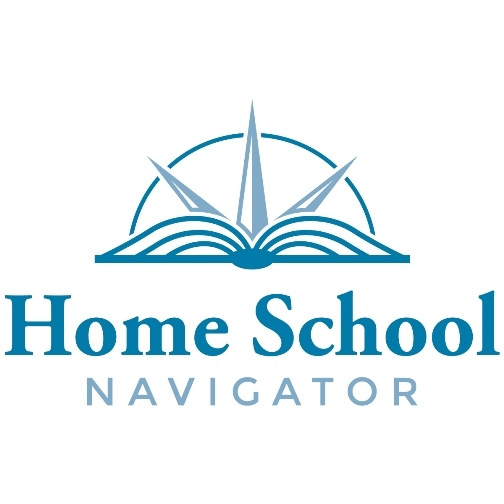 If you would like more information or other perspectives on the Home School Navigator Reading and Language Arts Curriculum, check out other reviews at the link below.